and 340 employees in 20 states. Craig has sunk $2 million into a facility that had been used for repair work on shuttles. 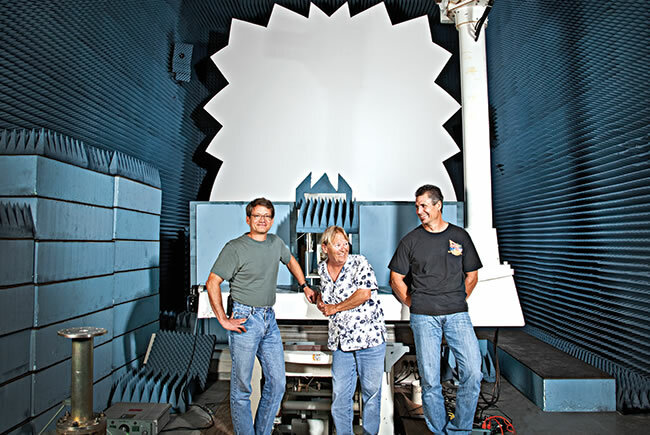 From left, electrical technician Mike Palin, support specialist Sandy Cain Jeffries and electrical technician Joey Charvet stand in the company’s anechoic chamber. Engineering intern Jonathan Kvasnok stands in a forced air furnace used for high temperature curing and vacuum bagging of composite/fiberglass parts. In a cavernous plant that once hummed with shuttle workers, CEO Carol Craig wants to build a manufacturing center. It may have made his jaw drop, but in him Craig saw opportunity and Craig has never met an opportunity she didn’t like. Take this one: Some time ago, she figured $60,000 was all she needed for machining equipment that would let her offer prototype building and machining as a complement to her firm’s engineering services. Opportunities kept rearing their heads, however, and now she has invested $2 million into what she calls the Aerospace & Defense Manufacturing Center. The investment has included leasing a cavernous facility on Astronaut Boulevard and acquiring from NASA and NASA-contractor United Space Alliance some 2,000 pieces of speciality equipment in it that were used to do much of the parts maintenance and repair work on the shuttles. Sunglasses perched atop her hair, silver accessorized, Craig says she’s “fabulous at 46.” Few CEOs are as open as she is — to the point of confessing to insecurities and occasional tears. She speaks in laid-back phrase-bursts — “totally, totally … good to go … it’s kind of cool” — but has three engineering degrees and can shift into that language with ease. 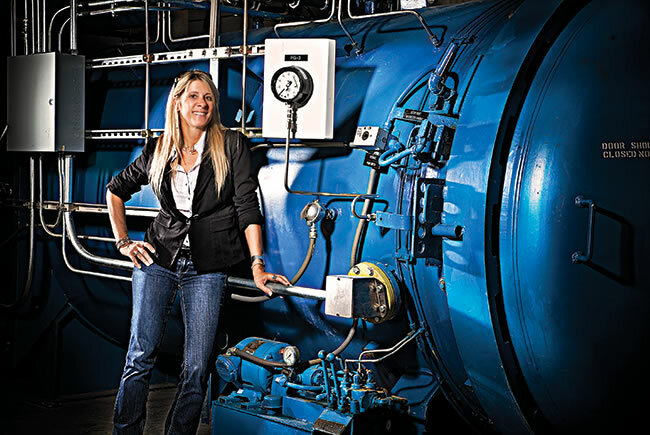 She has built her engineering services company to $40 million in annual revenue and 375 employees in 20 states, 150 of them at Cape Canaveral. Craig is active on local boards and charities. Last year, her company gave $175,000 to charity. She does all this with — as people say — usually a beer in hand at after-hours events.